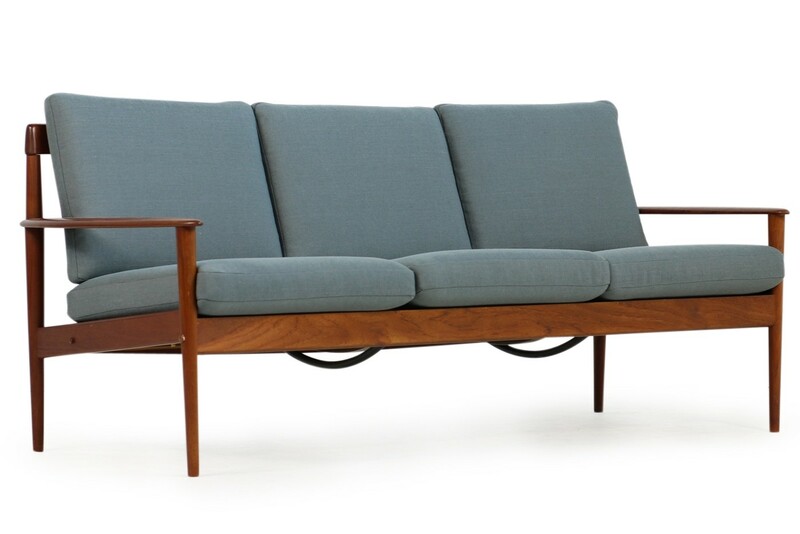 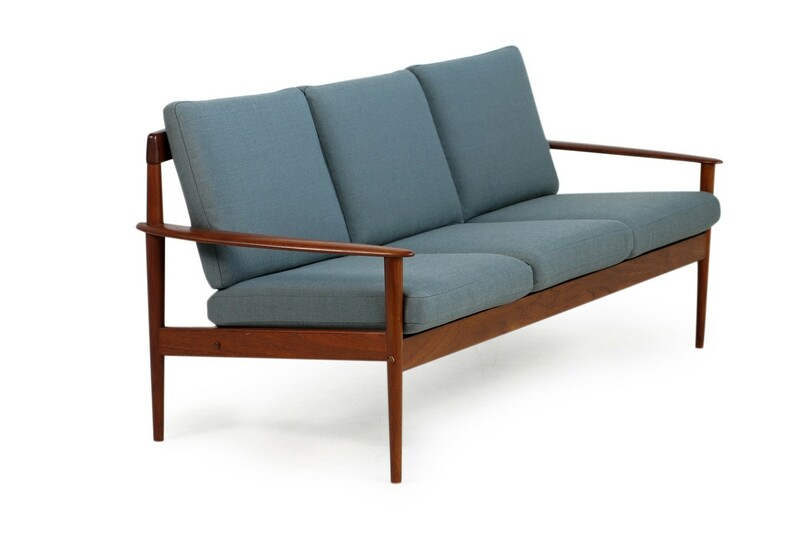 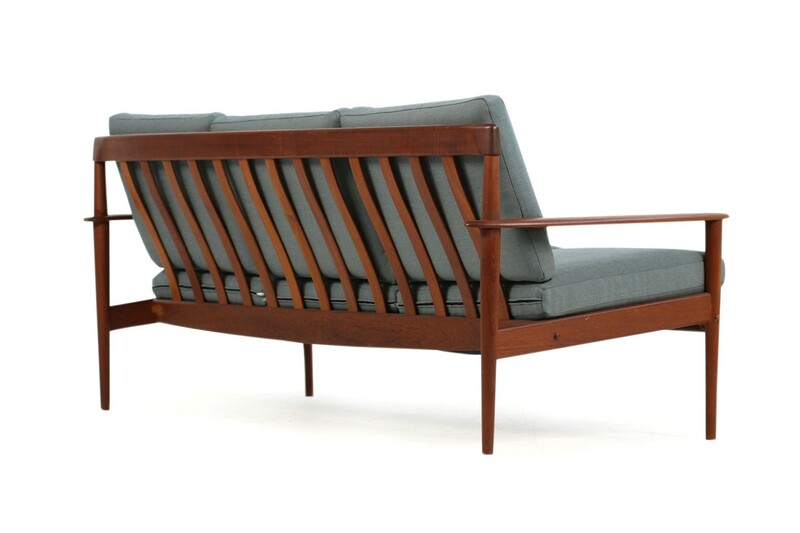 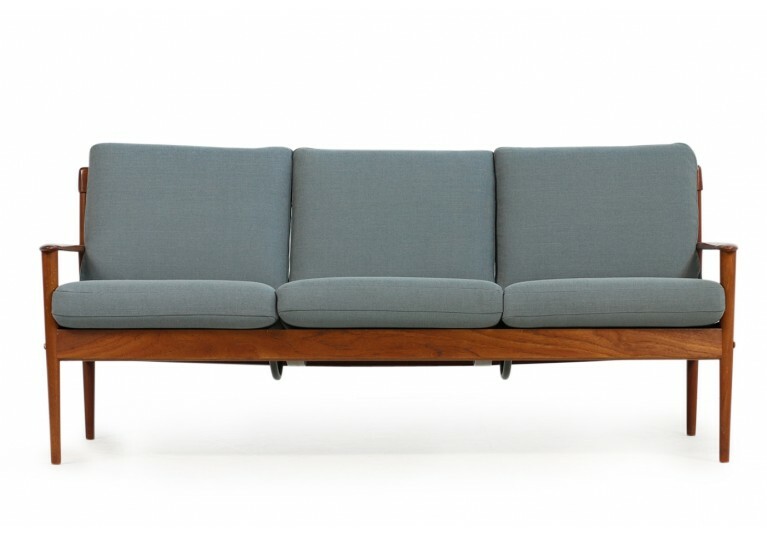 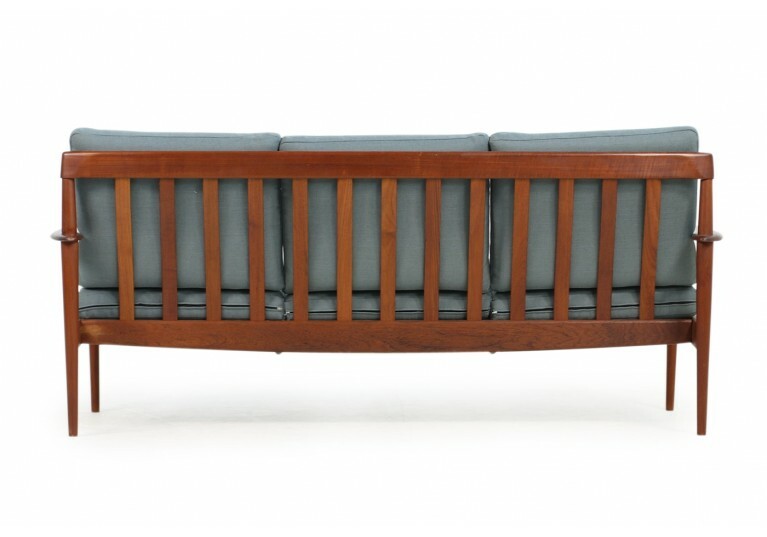 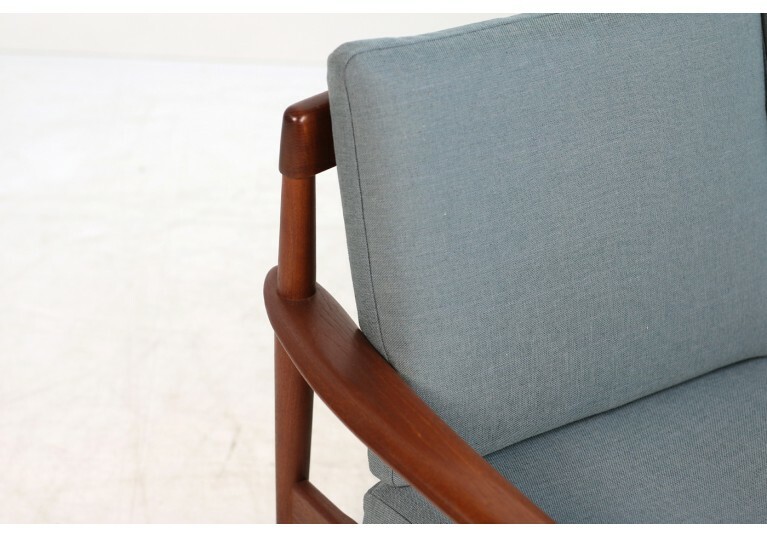 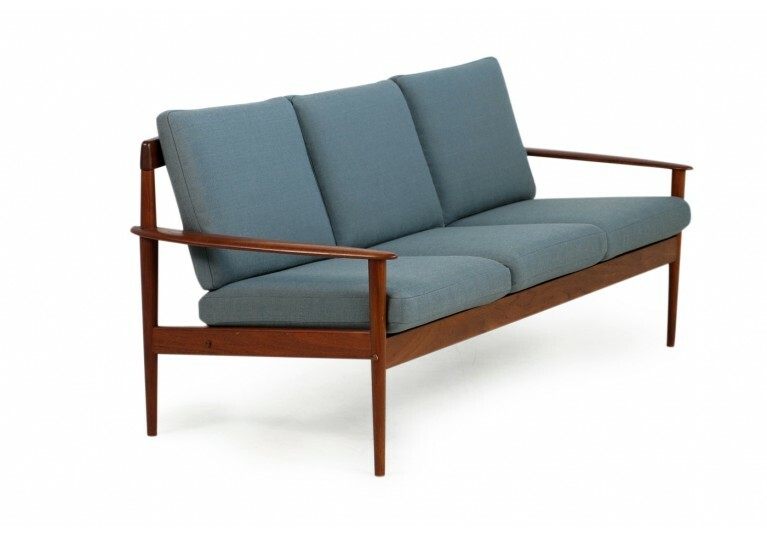 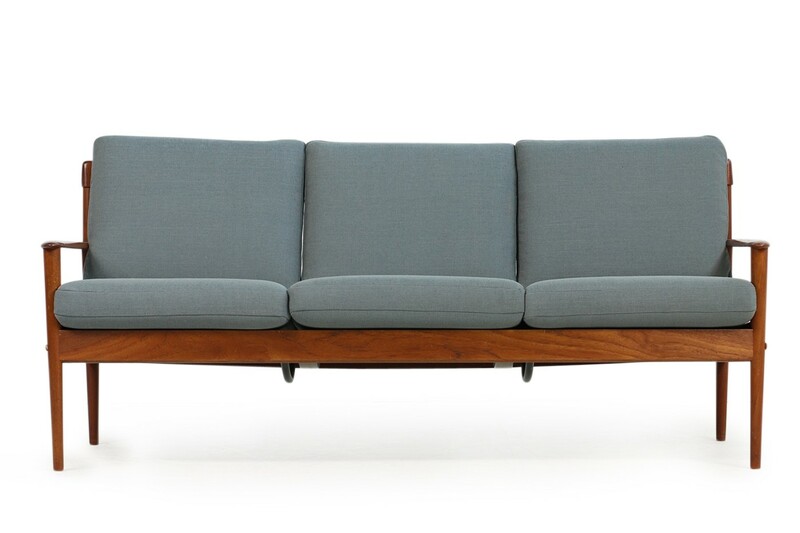 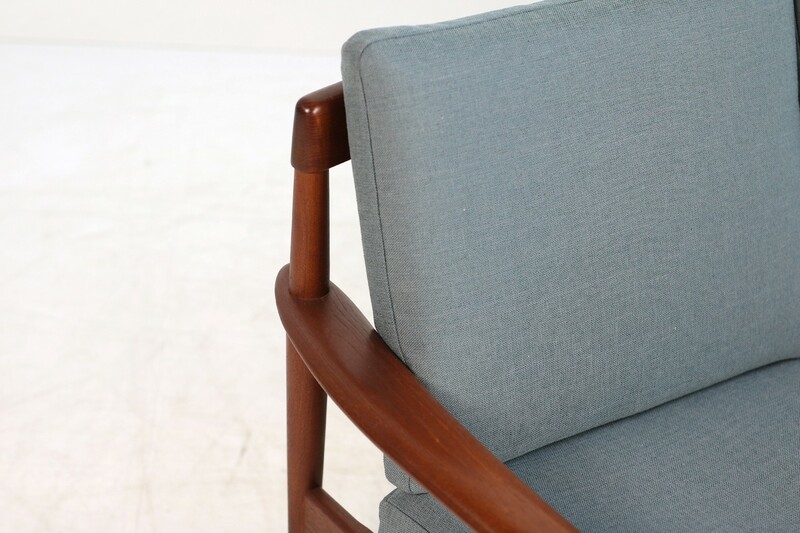 Beautiful and rare 1950s Grete Jalk sofa, Mod. 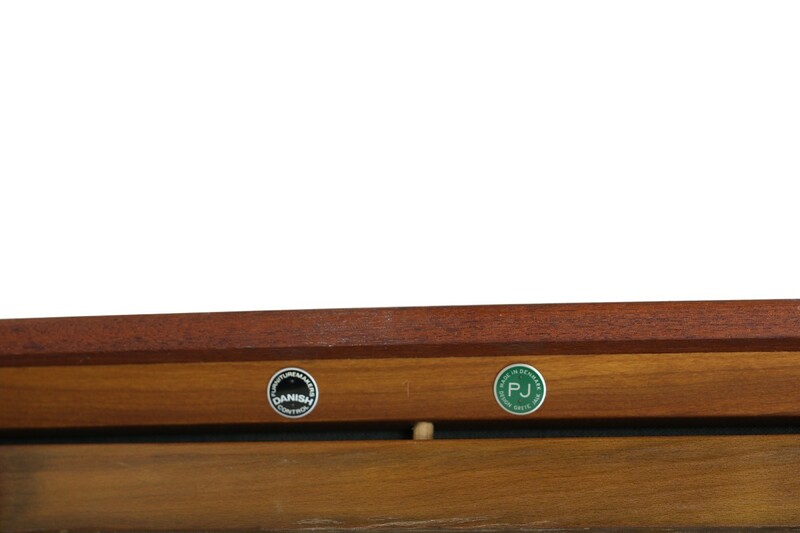 PJ (Poul Jeppesen) 56/3 (Mod. 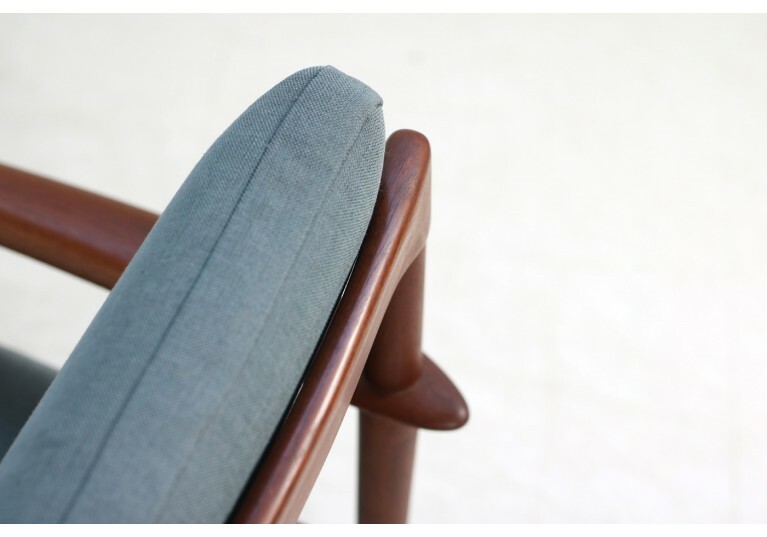 56 three-seat) amazing condition, renewed upholstery and covered with new high quality woven fabric in a fantastic grey tone. 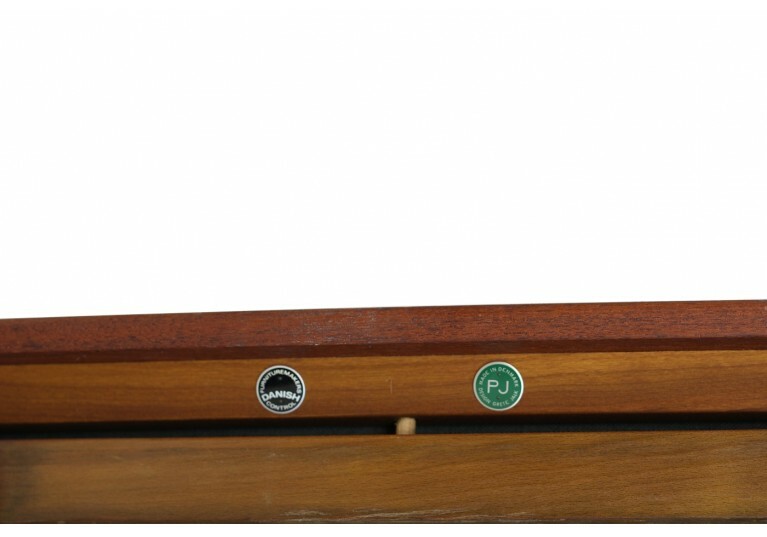 This piece is very rare, hard to find in that condition. 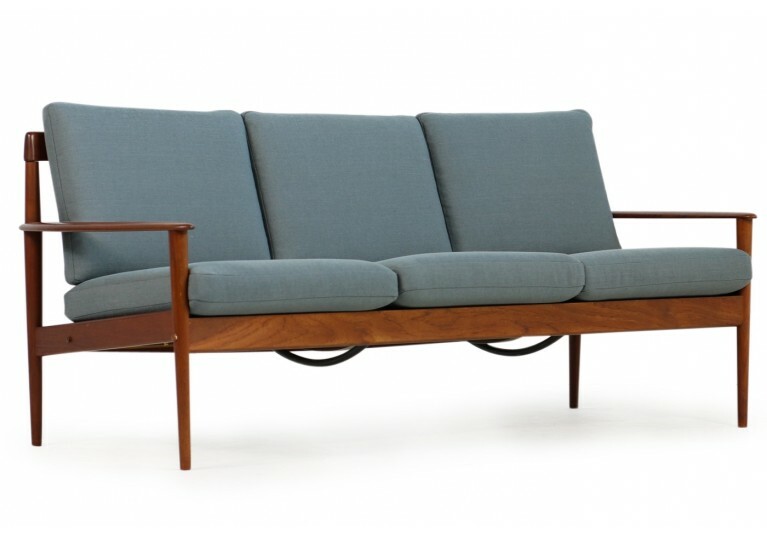 This sofa is from 1959 and it's in an excellent condition.